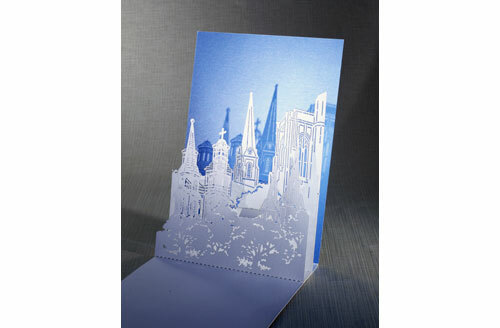 Paper cutting has been in practice for over 1,500 years and is a highly respected art form in many cultures. Laser cut letterhead, business cards, envelopes and direct mail pieces can cut through the clutter of ordinary print communication. Laser cutting, by itself, or in combination with other mediums such as embossing, printing or foiling, can create an interactive quality to all your corporate graphic communications.